The American legal system changed dramatically when the OJ Simpson trial became a television-ratings bonanza. Now it's all crime, all the time, from tabloid news to police procedurals. 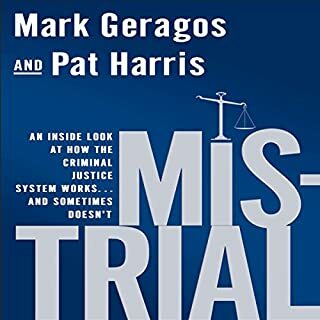 Americans now know more about the criminal justice system than ever before. Or do they? 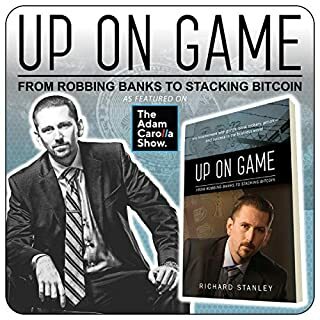 This is the story of the "Skinny Bandit" - a whiter-than-cocaine kid from the gang-filled streets of Otay in San Diego - who robbed banks to eat and ironically no longer needs banks because of his steady success in Bitcoin trading and other cryptocurrencies. Take a Walk on the Dark Side is the ultimate book for today's rock and roll fan: a fascinating compendium of facts, fictions, prophecies, premonitions, coincidences, hoaxes, doomsday scenarios, and other urban legends about some of the world's most beloved and mysterious pop icons. Updating, revising, and expanding on material from his cult classic Hellhounds on Their Trail, Patterson offers up a delectable feast of strange and occasionally frightening rock and roll tales, featuring the ironies associated with the tragic deaths of many rock icons, unsolved murders, and other tales from the fell clutch of circumstance. Facts about Jimmy Page and the Zeppelin curse. Chilling quirks of fate surrounding the deaths of musicians in the Allman Brothers Band and Lynyrd Skynyrd. A provocative look at "The Club", membership in which requires an untimely death at age 27 and whose inductees include Kurt Cobain, Jimi Hendrix, and Janis Joplin. Cryptic messages in song lyrics that have proved eerily prophetic. 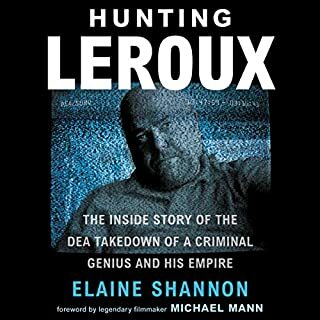 What an in depth summary of things I've heard of were true or rumors, but never could substantiate. 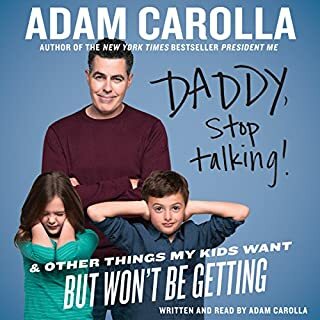 The voice used for this audio version was epic. What made the experience of listening to Take a Walk on the Dark Side the most enjoyable? It was riveting and interesting to a point. The first 5-8 chapters was great. Then after it got repetitious,going back to points over and over. The chapters later in the book talk about numerology...maybe I'm just not hip but it wasn't captivating . the list of events though true seemed to be connected only through chance despite an attempt by the author to manifest a true connection. An omen of that someone attached to someone that dies, then years later they did as well is to suggest that the people in question do not live life of fame, risk and excess. The forces idea of this work and the constant regurgitating of "satanism" is a bore to the realities of true occult fans. I would consider this a waste of time and wish I could have the money and time I spent back. Good luck if you want to take the risk. I think the author was looking to hard to find spooky coincidences across rock history. Not tough find. <br />Mostly contrived but interesting. Worth a read/listen, since it's pretty comprehensive, but most of *legends* and *myths* are a stretch at best but mostly contrived especially when it gets into the numerology stuff. This one provided information that was new to me and left me wanting more. This book, in my opinion, belongs in a set with Weird Tales from the Canyon. For almost any music/music history lover, this is a fascinating listen. To be fair, much of the material is just a deeper delving into the topics music fans have probably already heard. But it does go deeper into these topics. I wish I could find more books like this. Great read for the rock & roll enthusiast. I listened to R.Gary Patterson on many talk shows. A great rock and roll historian who is greatly missed. 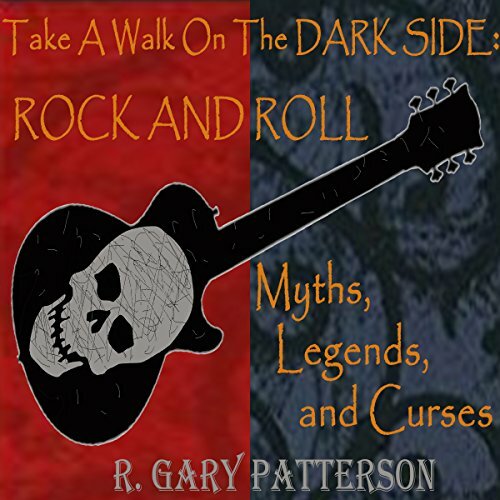 The late/great R. Gary Patterson of Coast to Coast Fame does a wonderful job of creating a thought provoking exploration of the myths, legends, and curses of Rock and Roll. From Blues Legend Robert Johnson, who is believed to have made a pact with the Devil at the paranormal charged crossroads, to guitar great Jimmy Page's obsession with Occult Legend/Satan incarnate Aleister Crowley, this intriguing book is pure entertainment from beginning to end. It includes the 27 club and bizarre coincidence/synchronicity involving all that leave one wondering if there is, in fact, something to the idea that our rock idols and performers are, indeed, on a Highway to Hell that definitely involves the existence of the paranormal and even the mythical Devil himself. Therefore, listen at your own risk! This is quite a memorable listen to say the least. 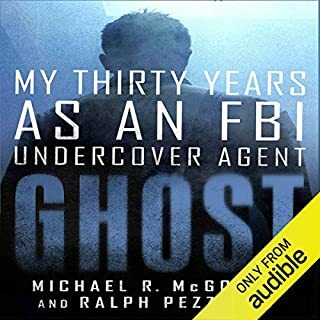 Mike Dawson, the narrator, even has that deep gravely voice of someone who might even be familiar himself with the rigors of the road. What would have made Take a Walk on the Dark Side better? Numerology, coincidence and rumors are all this book is. Mildly entertaining, but head-shaking at its best. What about Mike Dawson’s performance did you like? 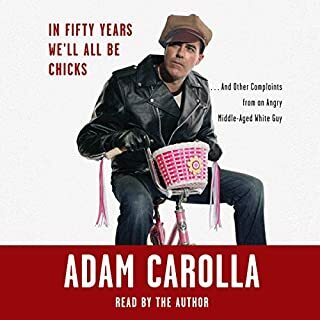 Mike Dawson is the announcer from the Adam Carolla Show, and does a fine job with his, rich, deep voice. If he had more to work with, this would have been a much better experience. If you could play editor, what scene or scenes would you have cut from Take a Walk on the Dark Side? More research would have helped this book, or simply writing facts rather than "what if" and "could it be's." If you want a distraction without learning anything that will stay in your head, this is the book for you.